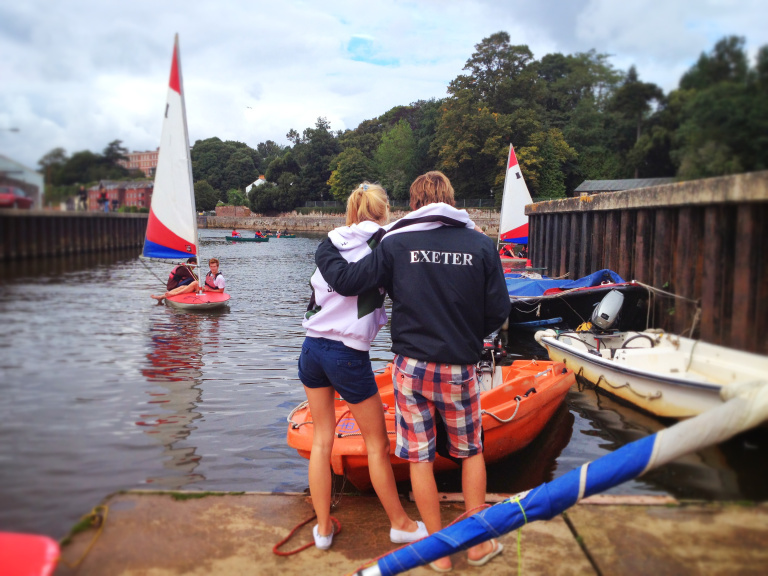 Getting sailors on the water is our prime objective at Exeter University Sailing Club (EUSC) because it benefits the entire sailing community immeasurably. From lessons for complete beginners to top level racing all around the country, EUSC has been getting sailors afloat since 1949. But a sailor without a boat is going to have a pretty miserable time. We are very lucky to have received a very generous donation and funding from Exeter University's 'Annual Fund', allowing us to buy 2 of 3 new boats (read on for why 3 is essential). Now we're Crowdfunding for the third boat - called a Firefly - and want to involve you in the process. Any contribution you can make, as well as being very kindly matched by the university, will pull together the three sources of funding and help to get new sailors out on the water. Your impact will be sincerely appreciated by those who get to use our boats, the sailing community as a whole and most of all by the Club and its members. Check out our video for the campaign here ! 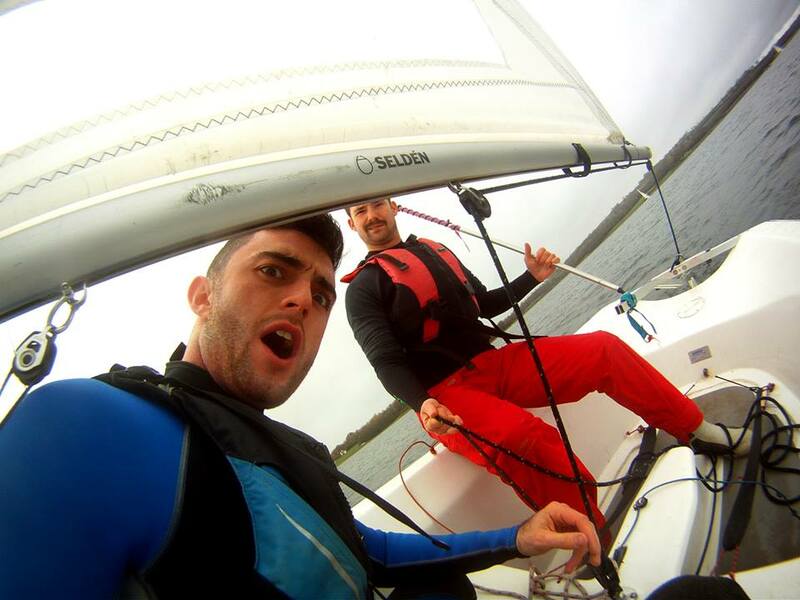 We are a Sailing Club for students meaning our mission is to provide sailing opportunities of all varieties at the cheapest cost we can manage - allowing us to open up the sport of sailing to absolute beginners with low budgets. We are committed to engaging new sailors in our sport. We have a very strong casual sailing contingent, with two weekly casual sailing trips attracting some 30 members a week. We consistently perform extremely well across BUCS events, and around the university circuit - this is due to a high standard of training and to the commitment of our sailors. We welcome many beginners to the Club each year and enjoy watching them progress to intermediate and competitive sailing! After nearly 20 years of service, our oldest boats are nearing the end of their lifespan and need replacing if we are to continue to offer the same opportunities to the members of our ever expanding club - some of our boats aren't even watertight and so can't be used. Our racers train and compete in teams of 3 identical boats, so we’re using 3 different sources to help fund this process. This way we can involve as many of you in this process as possible: it’s an amazing opportunity to be involved in putting sailors on the water for the next 20 years. This year, Exeter sent two teams straight to BUSA Team Racing finals where our first team finished in second place. With three new boats all four of our teams could train together allowing the less experienced racers to learn from the successes of our first and second teams. Our fleet racing team has medalled at 11 of the past 12 national championships - to be able to maintain this impressive record we need to be able to provide our fleet racers with the best possible kit. But your money won’t just be helping our competitive sailors: one of the most rewarding aspects of university sailing is seeing fresh faced 18 year olds at Fresher’s Fair looking to try something new. This year we have taken 365 people on 'Casual Coaching Trips' - that's right one for every day of the year. Just less than half of these have been beginners. But the ever increasing popularity of our casual trips has lead to oversubscription. Regretfully, we've had to limit spaces because our fleet simply isn’t big enough. We'd have some angry members if we sent our beginners out in sinking boats. Three new boats offers six to nine spaces every week for students to get involved in the sport we love. This project will bring together a large group of people all working in sync to encourage young sailors into the sport we all love. 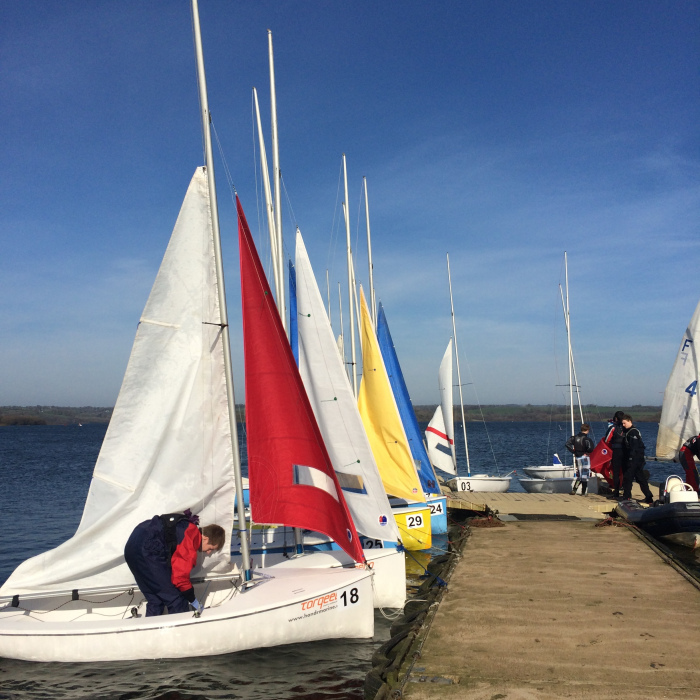 You’ll be able to see your commitment make a positive impact as our teams continue to feature in competitions across the country and our beginners flourish into active sailors.Many of you are connected to these boats through sailing them now or in the past. Some of you will meet and sail with the very people who learnt to sail in these new boats; many clubs will benefit from new sailors looking for opportunities after university.You will be the proud bearer of our gratitude! This may not seem like a lot but we can assure you that with up to 20 years worth of students gliding across the water in these boats there will be a lot of happy sailors glad for your generous participation. If this isn’t enough, we also have some exciting rewards on offer ranging from a club tie, to sailing lessons right through to sponsorship of some of our teams! You could even earn the naming rights to one of our boats - a unique opportunity or ideal gift for a loved one! Why do we need 3 boats? Competitive sailing - team racing - is carried out in identical boats in teams of three. If the boats aren't identical the racing is unfair. As a result we purchase all our boats in sets of 3 and we just make them last longer. The oldest 3 - 20 years old - are all fairly weary but with the three different sources of funding we can replace them all - ensuring top level sailing for another 20 years. We will be keeping them all up to date with our progress throughout the campaign! We aren’t just looking for financial help, we know lots of our members are students, and can’t afford to donate large amounts – if this is you there is still loads you can do to help us to succeed!Why not share our crowdfunding page on social media – exposure is key to the success of this project, so get the word out on Facebook and Twitter !Are you a sailor? 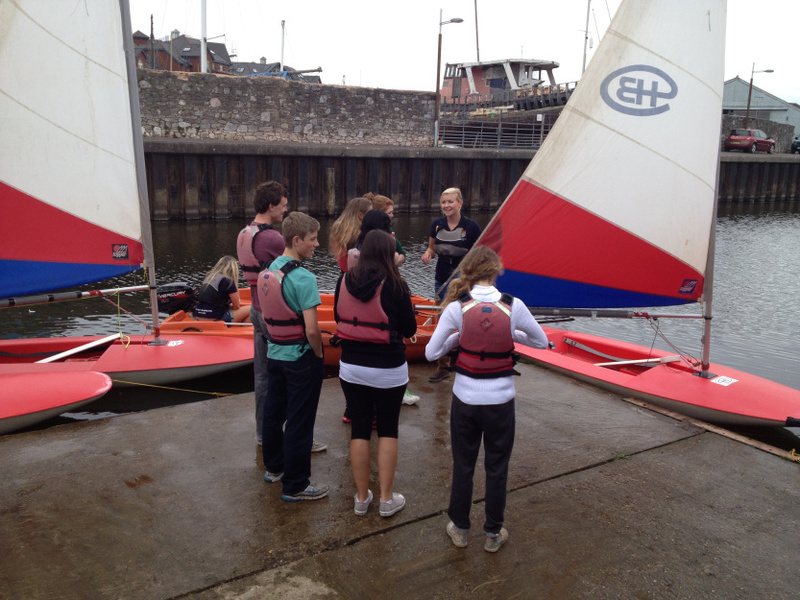 If you’re a member of a sailing club PLEASE help us to get the word out there in the sailing community! Can you get a link to our page in a club newsletter, or just talk to members of your club about our plans!